Family meals are one of those romantic ideas I had before having children. All of “us” (whoever the us was!) gathered at the table at the end of our respective days taking it in turns sharing what interesting, unusual and funny things happened that day. Heartily enjoying the healthy, home prepared meal presented. I’m not ruling that out as a possible scenario in the future, especially the older our children are, but it’s rare for this scenario to present itself at the moment. The reality though is that Mr 2 is at Grandma’s 3 days a week, the other week days Mr and I eat together after the boys are in bed as the boys eat dinner early – a hangry kid is in no one’s best interest! That said, we do try to have a family dinner once a week, usually on a Sunday evening. It’s not the chilled out experience I perhaps envisaged but it is still an important time for us to connect. Increasingly, the boys pitch in – they help select our meals and Mr 2 helps with table setting and clearing up and Mr 5 “supervises” Mr 2 and helps with putting away dishes. Food is a big deal in our house. And by big deal I mean we talk about food a lot, we prepare from scratch, get everyone involved, chat about healthy eating, good food choices and shop for seasonal food. I spend a lot of time thinking about what to cook, cooking and cleaning up. It’s important to us that the boys know that good food takes time and thought. The setting you can see above was for our family dinner on Sunday. At the outset let me say that Mr 5 is a great eater. He eats widely and is willing to try new things. He went through a fussy period and there are foods he doesn’t like much (soup) but we just avoid those. Mr 2 on the other hand would snack all day and never sit down to a proper meal if allowed to do so. He will generally not try new things, especially if cajoled. I’ve learned that leaving him to decide from several options on the table is the best approach. Always putting something on the table that I know he likes helps too – fresh cucumber or corn on the cob – and he may just take a nibble of something new. Mr 5 is the best salesperson when it comes to getting him to try his food even if it’s something he’s eaten and liked before. It absolutely does get me down sometimes when I have spent so much time thinking and preparing a meal only to have it rejected for a banana or piece of bread. In preparing family meals I look for healthy, cost-effective, something I know is likely to appeal to Mr 2’s fussy pants nature and is big enough on flavour to please the rest of us too. These meatballs tick all the boxes and I heartily recommend them. How are family meal times at your place? Do you have a fussy eater too? How do you cope with it all? 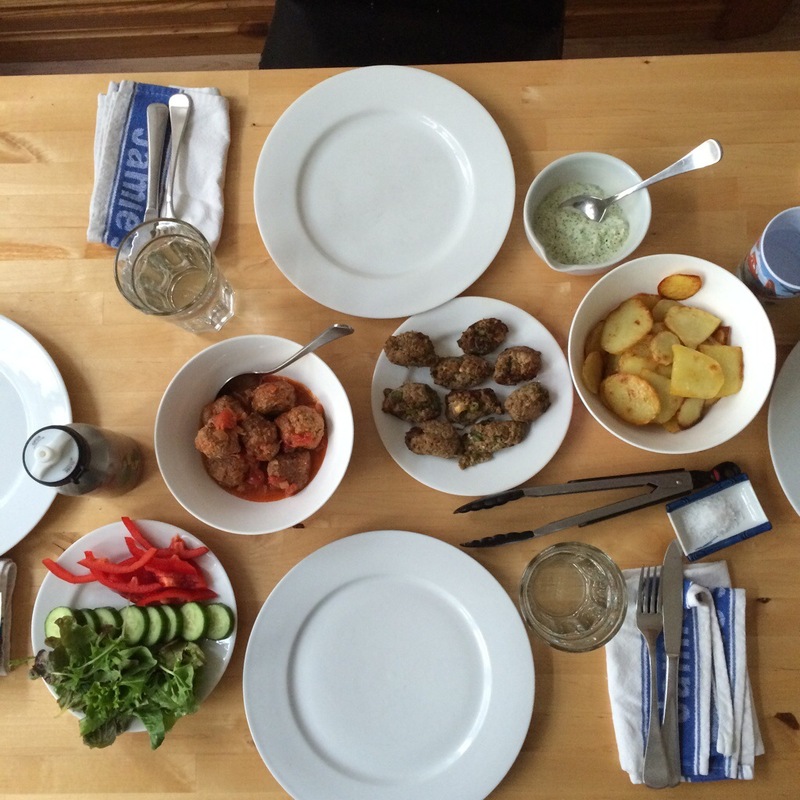 This entry was posted in balancing act, being organised, family, food, recipes on July 17, 2014 by catbeloverly. I read this article, Stop being busy by Oliver Burkeman (who I rate quite highly) some weeks ago and like all good articles, it has had me thinking. We live in a world where busy is either glorified (have you had a conversation lately where someone doesn’t say – “things are just so busy!” or similar?) or crucified. I am busy, busier than I’ve ever been actually. Part-time work, full-time Mama, being a good partner to my darling Mr, chief cook, cleaner, study, the craft biz, exercise, extend family time, time with friends, even things like this blog….that’s let alone carving out space to think and be and do the things I enjoy like read. I asked a friend yesterday if it’s even possible to achieve all these things without exhaustion setting in…it’s not of course. Not unless I can clone myself or stop time to catch up. Sometimes I feel like my head is spinning faster than the world itself is. Most time management advice rests on the unspoken assumption that it’s possible to win the game: to find a slot for everything that matters. 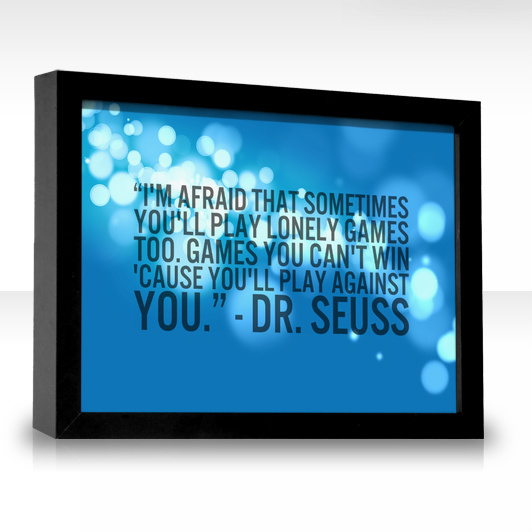 But if the game’s designed to be unwinnable, Schulte suggests, you can permit yourself to stop trying. There’s only one viable time management approach left (and even that’s only really an option for the better-off). Step one: identify what seem to be, right now, the most meaningful ways to spend your life. Step two: schedule time for those things. There is no step three. Everything else just has to fit around them – or not. This idea that the “game” is unwinnable though is new to me. I had previously thought if I were organised enough I would find the time to fit it all in….but it’s just not possible and I was setting myself up to fail in thinking that way. The word I wanted to focus on this year was “peace”. And in so doing, what I really meant was avoiding overwhelm and accepting things for what they are. In finding this advice and letting it sit I’m realising that the peace is going to be found, for me, in the “or not” stuff. The real challenge for me is in stopping the guilt or the “should” feelings when the “or not” happens. Games we can’t win cos we play against ourselves. There’s no scorecard beyond what our internal voice tells us and we may as well stop worrying about the “or not” right? This entry was posted in about me, balancing act, being organised, mama-hood, things i'm learning on May 5, 2014 by catbeloverly. My littlest man isn’t much of a sleeper. He goes through patches where he isn’t too bad but there are more patches where he is horrificly unsettled, waking every 90 minutes and needing a lot of cuddles to settle him back to sleep. I’ve tried every strategy in the book and have taken to the path of least resistance now, whatever that may be. This latest phase has come at a time when I’m really busy with work, study and craft as well as the humdrum of domesticity, some illness and the needs of an older child too. There have been meltdowns galore and not just from the boys. Normally, I throw a bit of organisation into the mix and structure my way through things. Getting by on three hours broken sleep just isn’t cutting it though and no manner of organisation is helping. I am behind on work, the washing pile is back logged and my patience for everything and my humour are thin. I have cranky totally nailed at the moment. The worst part though is my weary mind and the thoughts that visit whilst pacing with a sleepless, crying two year old. The fog. The weariness of body is mirrored in my mind. Yes, this too shall pass. The sleeplessness, it has changed me and I am weary. This entry was posted in about me, balancing act, being organised, family, mama-hood, things i'm learning, what I believe on October 29, 2013 by catbeloverly. My boys birthdays are three weeks apart and this year, after his brother’s large 1st Birthday Party, Bebito was very keen to have a party. I think he imagined another huge gathering but instead I wanted to focus it around him and his friends. Five seems like a milestone year to me and I’ve certainly seen him grow up in the last little while. It’s the first time I really saw Bebito as my “Client” when it came to planning. I’ve talked about his in my previous party planning post. Essentially, my party philosophy is home made, hand made, thoughtful and organised and don’t spend a fortune so I was guided by this. It was the first time he got involved in the planning and worked out who to invite and I wanted it to be first and foremost, a kids birthday party. As Little Lion was 2 several weeks later I just combined their party together. My boys are loud. Yep, I know all kids are loud but my two are particularly loud when they play together and one thing they like to do is out roar each other and pretend they’re dinosaurs. So months ago I decided on a, “Things that ROAR!” theme. This encompassed dinosaurs and other animals, rockets, planes, trains and pretty much anything. As I like to reuse decorations I stick to safe colour palettes that I know we can incorporate into our house…blue, red and green essentially. 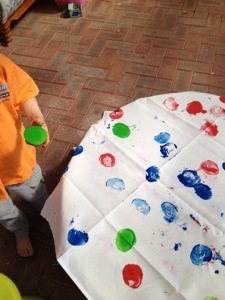 I wanted to get Bebito involved in making things so bought some cheap white fabric and some fabric paint and had him potato paint to make a tablecloth. He also helped me glue some dinosaurs on some jars and spray paint them for party favours. The jars had some jelly play dough in them, which again, he helped me make – see the recipe here for this play dough which is the most awesome play dough ever. I did invest in some cookie cutters which I used in various projects for the party – biscuits topped with natural food colouring sprinkles…. and to trace some figures on card (which my bigger niece and nephew helped us do as a school holiday activity) and we then strung them together as garlands. This was a great activity to do with both the boys as we talked about colours and patters and it cost less than $5 to make a whole lot of garlands. We strung these up around the yard and they’re still hanging up under our verandah. The kids love them! 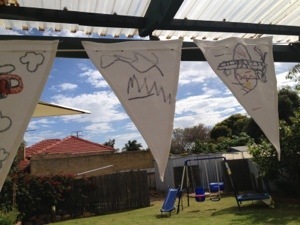 I found some blank bunting on special for $3 so had my niece, nephew and Bebito decorate two flags each with fabric crayons. SUPER cute yes? Activity wise, the party was a smash hit. Given the age of the children attending was so varied I wanted to make sure there was a lot of different stuff to do. I took the train set outside, had a table set up with play dough and the cookie cutters, left our swing set very accessible, had a face painter (our largest expense), had a table set up with fabric crayons and blank aprons that the children got to decorate and take home as gifts also. 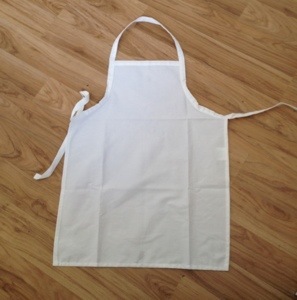 The feedback from Mama’s who came along was that their smalls loved the aprons most of all. We had a few party games too – including pin-the-tail on the dinosaur drawn by me and looking a whole lot like George’s Din-e-saw – I think I’ve watched too much Peppa Pig! Food wise I did a light lunch and had a table set up outside with menu cards written by me on card and using various stickers around the theme – Bebito helped with this too. We served up home made mini pizzas and garlic bread, home made sausage rolls, healthy chocolate crackles using this recipe, mini frittatas, pinwheel fairy bread using the natural sprinkles again, fruit skewers, spinach and ricotta puff pastry rolls and some puffed corn in a mini cup. The only things I made on the day were the fruit skewers and frittatas as they don’t freeze well. The rest I cooked up in a huge batch the weekend before and froze, reheating the morning of the party. By far the most popular food was the fruit skewers. I decorated the table with some of the boys toys that met the, “roar” theme. We also made some strawberry milk using smashed up real strawberries and chocolate milk with cacao and honey, as well as some iced coffee for the grown ups. Mr also spent a fair chunk of the party ensuring everyone who wanted to had a chance to sample his barista skills. The cake was one Bebito chose from a Donna Hay kids magazine and in spite of the sponge having completely split and falling apart when we baked it and inverted it, turned out really well I think! Overall, the party was really good fun and very relaxed. The 15 or so children who attended all had a great time and there was no fighting, screaming or ickiness at all which I think marvellous! Most of all though, my client gave me the following feedback, “Mama, today was the best day of my whole life! I think we should call the news people to tell them what a wonderful party it was.” High praise indeed! 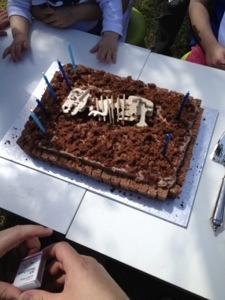 This entry was posted in being organised, birthdays, family, food, kids craft, mama-hood, parties on October 17, 2013 by catbeloverly. I’m sitting in the dark – save a lovely changing coloured nightlight – on the floor of my boys’ bedroom wishing them to go to sleep. Again. The soundtrack is, still, Rockabye Baby versions of The Cure. Mr 4 is out like a light, Mr 1 still fighting sleep, as normal. It gives me a few minutes pause in my day so I don’t mind sitting here. When people ask me how life is I say, “good”. Which is true. I’ve banned myself from saying, “busy”. That’s true too. Crazy busy actually. The roundabout of work and family life is full on. I know my days won’t always be like this and I wanted to document it so I can look back one day and smile. 5.30 alarm goes off, shower and get ready for work, scrub bathroom in the process. 6.23 negotiate with Mr 4 about what are acceptable toppings for his toast and give in slightly by allowing Nutella and banana, make said toast and a piece of plain toast for Mr 1. Continue to field a million questions on transportation that I have no clue how to answer. 7.08 ask Mr 4 to get dressed for the 7th time in 10 minutes. Stop what I’m doing to cheerlead him getting dressed. Kid needs an audience at every turn. 17.15 head for train station. Meet Mr briefly to say hi. 18.10 arrive home, collect mail, open mail and pretend the bills aren’t there! 18.50 boys arrive home. Change Mr 1 who has leaked through his nappy, give him a good clean and ask Mr 4 to choose one book. 19.00 tuck boys in and sit. 19.33 pick up Mr 1 and cuddle him again. Tuck him back in with Little Ted. Wait for his breathing to deepen. 20.30 dishes and pack away roasted vegetables for salad tomorrow. It’ll be bed time and more trashy book reading for me shortly! How do your days look? This entry was posted in about me, balancing act, being organised, family, mama-hood on August 27, 2013 by catbeloverly. It’s a topic addressed on every personal blog I’ve ever read…the balancing act….the “how to fit it all in” thing. And I truly think that because no one person can truly balance it perfectly all the time. I’m about to throw study into the mix of my life too. I know I am nuts but it needs to be done from a professional standpoint and I will take on only one subject at a time. It’ll take me years but I don’t care about that. I’m in a constant state of balancing and unfortunately it’s often the squeaky wheel gets the oil. There’s nothing strategic about the way I do things at all. I look around and see people who seem to have it more together than I do. Twinges of envy hit and then I go back to trying to just do the best I can. My friend Megan once told me that jealousy is a good indicator you’re not doing the right thing for you. And I believe she’s right. There is so much I love about my life but it’s time to make some plans to make sure I’m getting the most of my life. For me, it’s about getting back to basics. 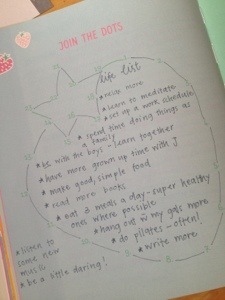 And so, learning again from Megan I made myself a life list. Trying to be as organised as I can…cooking good, simple food….playing with my boys….finding time to have a coffee and read a book even for 10 minutes….making sure I get to Pilates….dating my Mr. Hanging with my girlfriends. Chatting to my Mum. I suspect I need to multitask less, focus more and maybe, cut myself a break!!! The washing has however piled up, the floors need a clean and all those boring jobs have been put aside too long! What works for you when you’re overwhelmed? 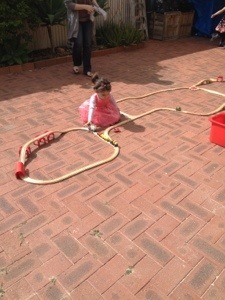 This entry was posted in balancing act, being organised, mama-hood, toddler-dom on May 20, 2013 by catbeloverly. I try to be as smart as I can about food – both in terms of how much we spend, the quality of what we eat and the time I spend cooking. I’ve never been as engaged in paid work as I am at the moment so I’m lacking in time to potter in the kitchen in a way that makes me happy. On the days I’m home I try to make a freezer meal at the same time as making dinner. Today’s meals were made using all the same base ingredients and to make it very quick indeed I did all my chopping in the food processor. If I had all the time in the world, I would chop by hand but this is about speed and ease which is what kitchen gadgets are all about after all! After prepping all the vegetables I put on the wok and a large saucepan on a medium-low heat. Add half of the onion & garlic and cook until soft. Increase heat to medium. Add half of the celery and carrot and cook down for around 2 minutes. Add half of the zucchini and capsicum and cook for another 2 minutes. Add half the mushrooms and cook for a minute before adding one of the packets of chicken mince and stirring, stirring, stirring to ensure it browns evenly and doesn’t have any lumps. When browned a bit but not cooked absolutely completely add the sauces and cook for a few extra minutes. Serve in lettuce cups or like us very lazy people, you could shred the lettuce and make it into a salad! Serves 4 very hungry or 6 people – we ended up eating about half and freezing a portion too. 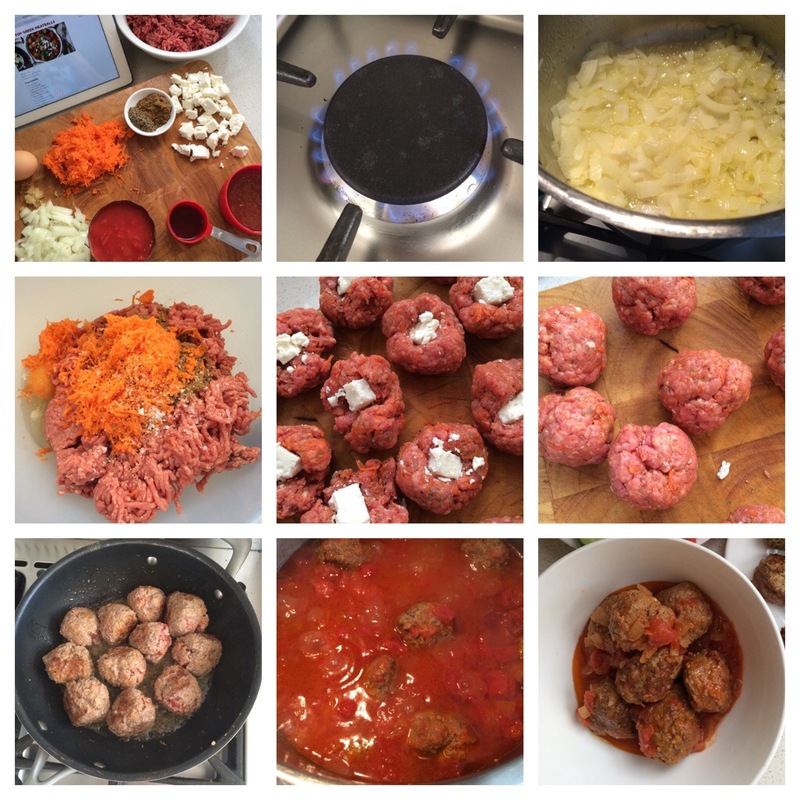 In the meantime, I was also cooking the bolognese…. Heat just under a tablespoon of olive oil in a large saucepan over medium-low heat. Soften the remaining half of the onion and garlic. Add the celery and carrot, cooking for a few minutes, then adding remaining zucchini and capsicum and mushrooms. I like to brown the vegetables a tiny bit so increase the heat to medium at this stage and let them fry for a few extra minutes. 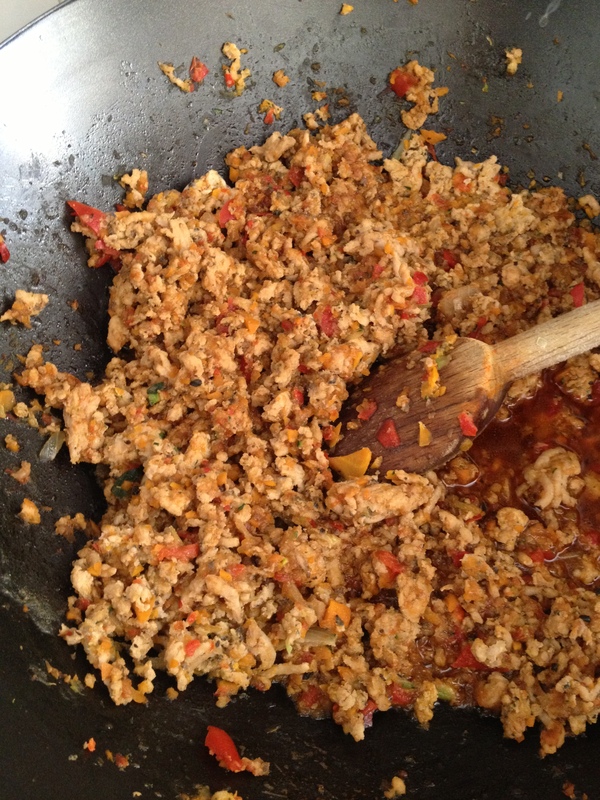 Then add the chicken mince, browning and stirring to get rid of lumps. I add my paprika at this stage. Add the two tins of tomato, a dash of sugar and salt and pepper as per your preference. Rinse out the tins of tomatoes by adding water to each and adding the water to the saucepan. Bring to the boil and let simmer as per your preference. I like to cook mine off for at least half an hour to get rid of the more acidic taste of the tomato. When done, I add my chopped fresh herbs. It makes quite a “runny” bolognese so if you prefer a not so runny one just add the one tin of water. I froze two thirds to make a lasagne with and one third to have with pasta one night next week. This recipe makes two separate meals that will feed four very comfortably. So, there you have it, my method to make fairly quick, healthy & cheap meals with about 20 minutes worth of effort all up! Best of all, all of my boys gobbled it up with enjoyment. 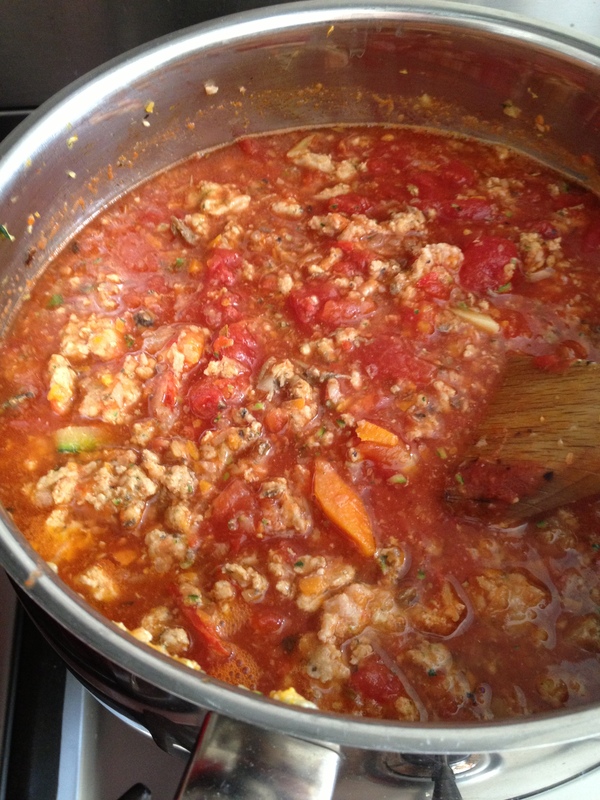 This entry was posted in being organised, food, recipes on March 8, 2013 by catbeloverly.